Since its inception in 1971, ODIs have been the most popular format in International cricket. With the passage of time, many changes were adopted in ODI cricket, one of them being the introduction of World Championships (Now World Cup) in 1975. Till date, the World Cups are undoubtedly the most successful cricket tournaments. Pakistan was the first Asian team to be given the ODI status in 1973. It was followed by India (1974) and Sri Lanka (1983). Cricket might have originated in England, but it has seen its best charm in the Asian countries. Indeed, cricket has become a religion in Asia. The popularity in this continent is ever increasing- from worshipping the players as demi-gods to burning their posters on their failures, Asian cricket has seen it all! Asia cup, organized for the first time in 1983, has reached its 15th outing. India has been the most successful team in Asia cups winning 6 titles (5 ODI, 1 T20). Even, the Asians players are on top of the individual records in World cricket. Sachin Tendulkar is the batsman with most runs while Muralidharan being the one with the most wickets! This list discusses the best Asian ODI XI. Sanath Teran Jayasuriya scored 13430 runs 445 matches. He is the third most capped ODI player ever. He began his career as a slow left-arm spinner, however, finished as one of the most attacking openers in world cricket. He has also taken 323 wickets and is the only player to have 10k+ runs and 300+ wickets in ODIs. 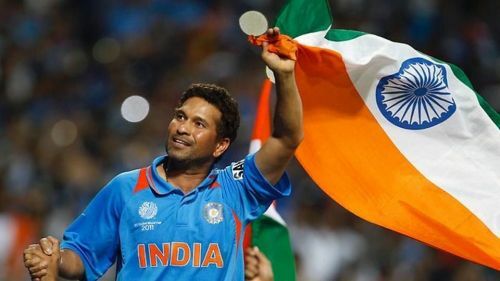 Sachin Ramesh Tendulkar, often known as the God of cricket, will make to any all-time XI whatsoever! Scoring the most ODI runs ever, Sachin also has 49 ODI centuries under his chin. He has scored 18426 runs in 463 ODIs with an average of 44.83 and scalped 154 wickets. He has won numerous matches for India, both with the bat as well as the bowl. ﻿Some of the world's GOATs missed out their positions in front of this dynamic duo. Virendra Sehwag, Saeed Anwar, Tillakaratne Dilshan, Tamim Iqbal being some of them.